All the Tricks and Maneuvers – Pull off killer tricks like Methods, Japan Air, Mistys, Meloncholys, and Sad Air, plus thousands of combos of flips, spins, and grabs. All new fighting allows racers to punch their opponents while racing. 22 Authentic Snowboards – Choose from 16 Burton and 6 Ride snowboards all individually designed with their own specific performance and board graphics. 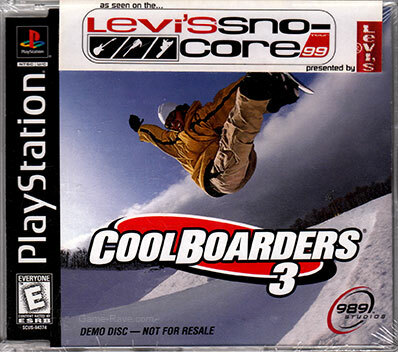 Some copies of the Slim Jewel case version may still have the Levi’s ad sticker on it. This is clearly slapped on at a later point, and not considered part of the variant’s release. 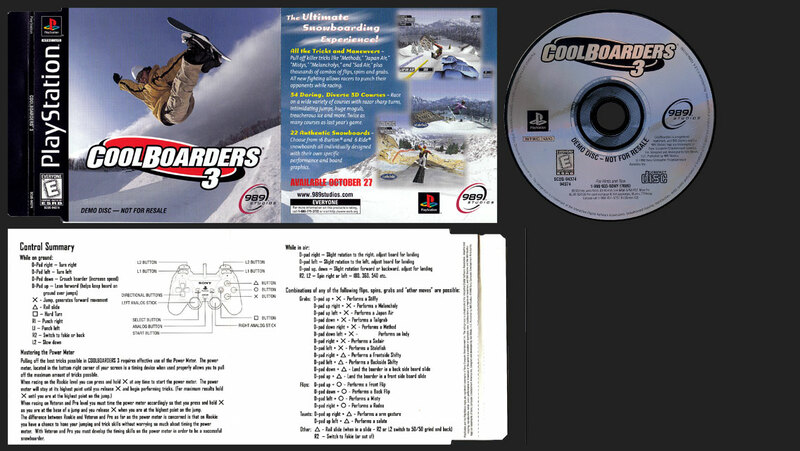 Includes a playable demo of the retail released game Cool Boarders 3.